B.M.H. 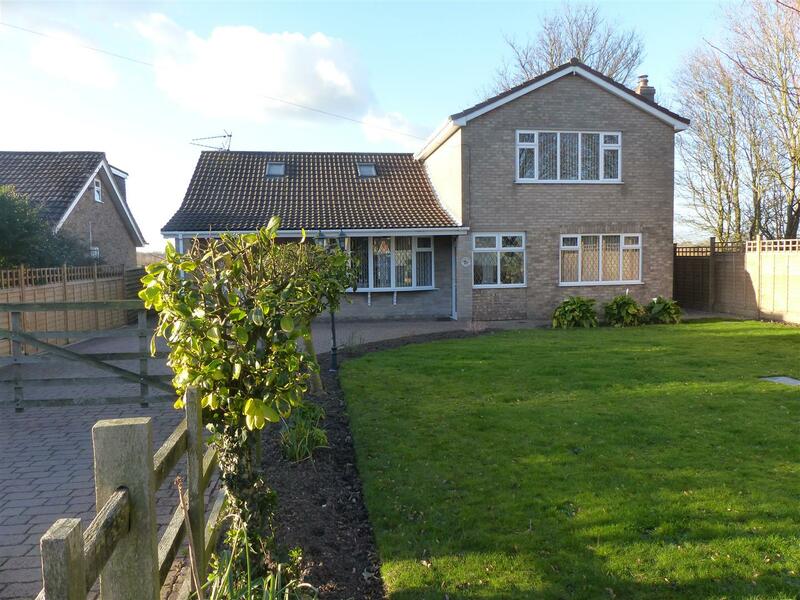 Estate Agents are very pleased to offer for sale this superb large and spacious family sized detached residence situated in the popular village of Healing. 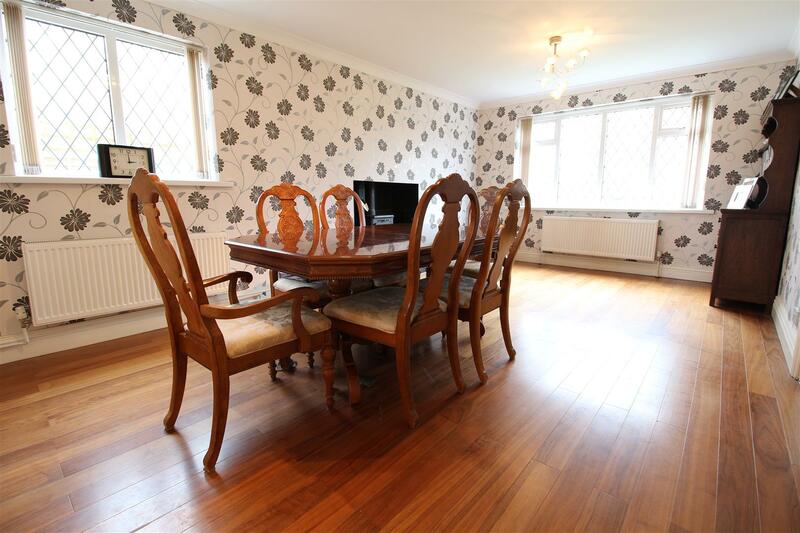 It is positioned with excellent views to the rear and only a short stroll to the local facilities and more importantly falling into the popular Healing school catchment. 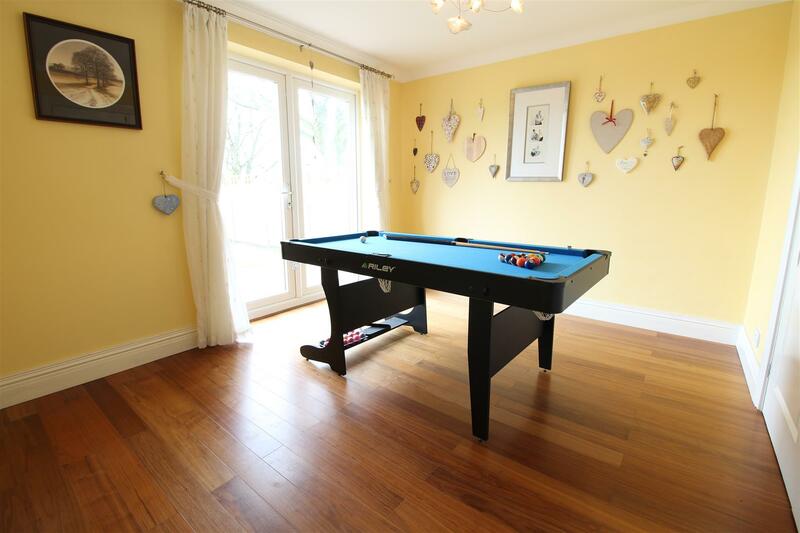 The accommodation consists of an entrance porch, entrance hall, large dining room, play room, large lounge, spacious dining kitchen and a ground floor shower room. 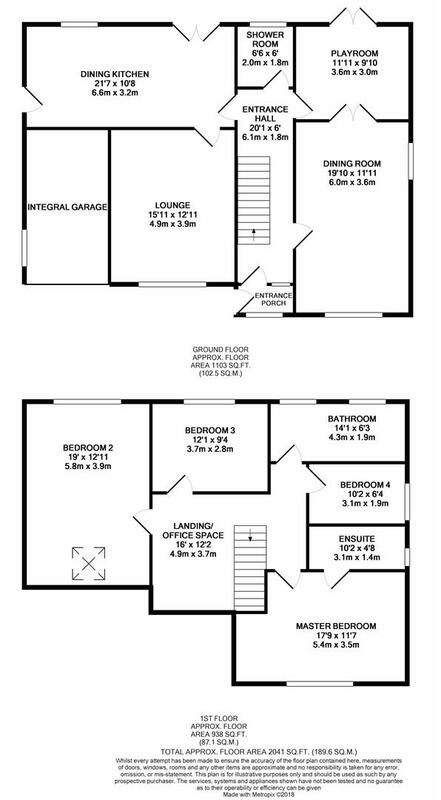 To the first floor there is a very usable landing with office area, master bedroom with ensuite shower room, 3 further bedrooms and a large family bathroom. 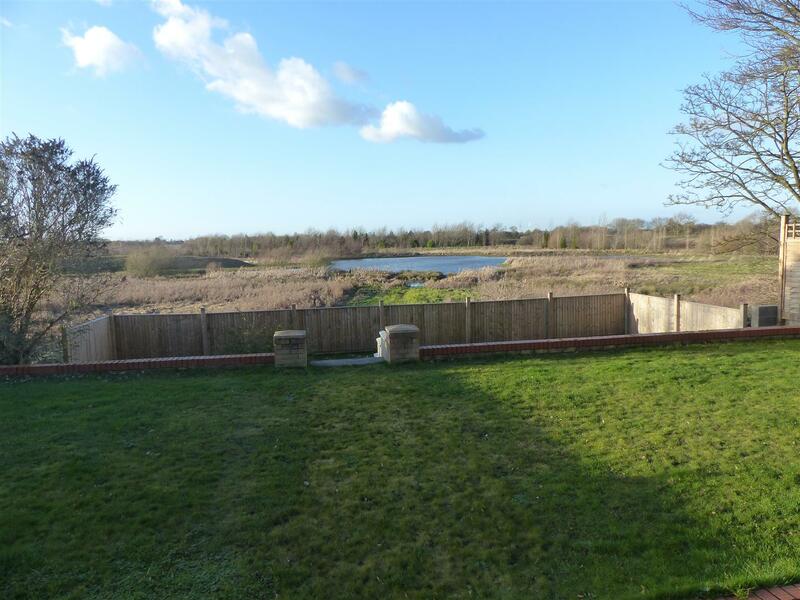 There is a plethora of parking to the front, an integral garage and enclosed dual layered garden to the rear with views over the marsh land. 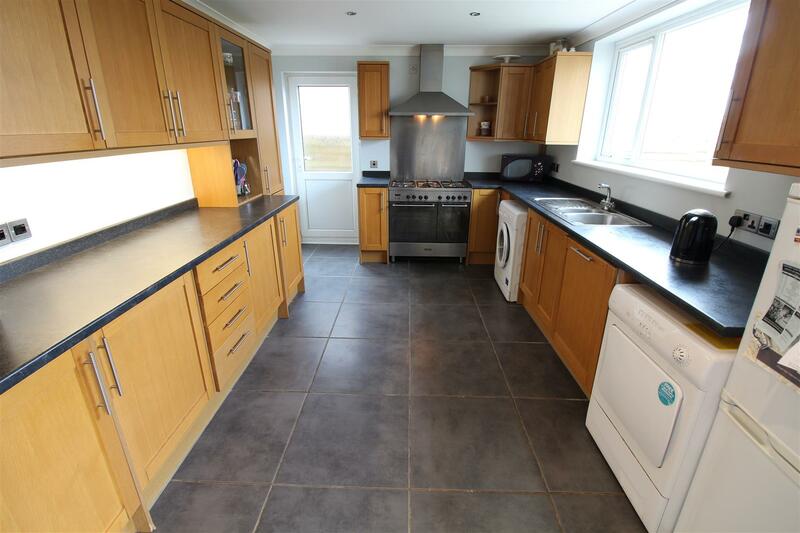 This property really must be viewed to be fully appreciated. 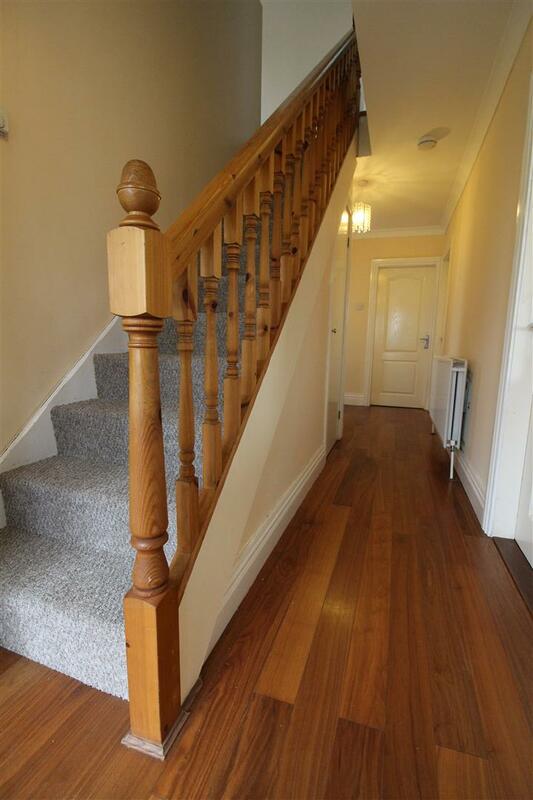 This attractive entrance hall is decorated in cream with an engineered wood to the floor, a central heating radiator, an under stairs cupboard for storage and a spelled staircase leading to the first floor accommodation. 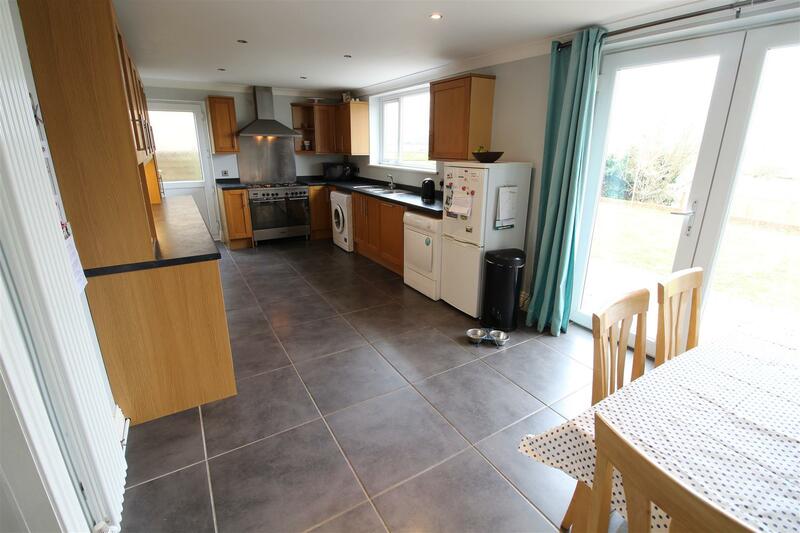 This room has u.PVC double glazed French style doors opening onto the rear garden and has views of the fields beyond. 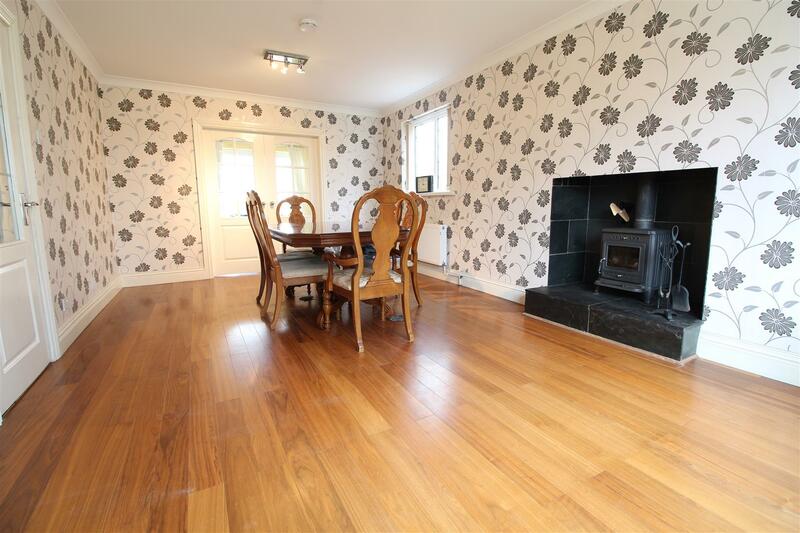 Engineered wood to the floor and a central heating radiator. The lounge has a u.PVC double glazed bay window to the front. 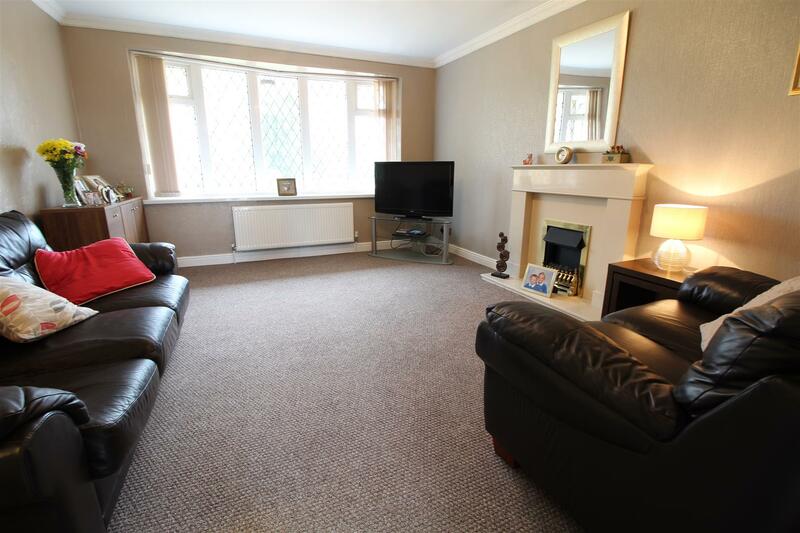 This is a large room with 2 central heating radiators and marble fire place. 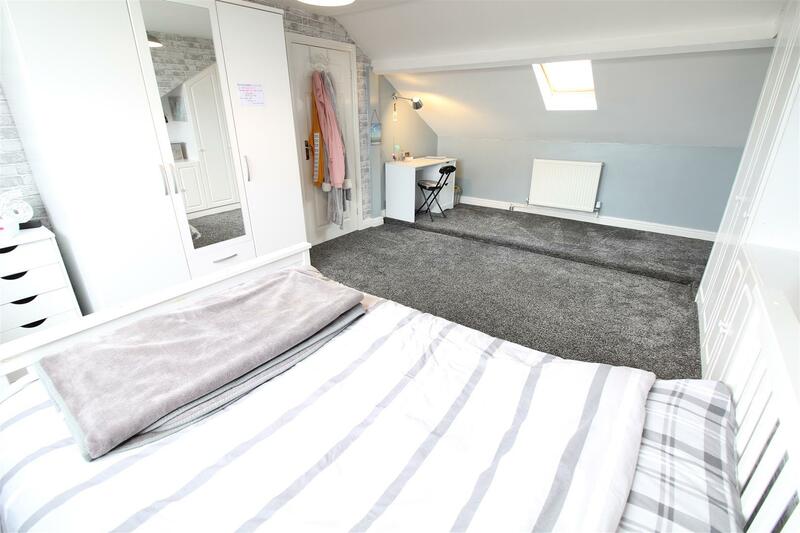 This excellent sized family room has a u.PVC double glazed door to the side, u.PVC double glazed window and u.PVC double glazed French style doors opening onto the rear garden with views of the fields beyond. It is decorated in a pale grey colouring to the walls with spotlights to the ceiling and tiling to the floor. There is a feature range of walnut coloured wall and base units with roll edge worktop which incorporates a 1 ½ bowl stainless steel sink with plumbing for a washing machine. There is an integral dishwasher. The Delonghi double range oven with 5 burner hob and chrome splashback and hood are included within the sale. There are two vertical radiators, space for a table and chairs. The handy and conveniant ground floor shower room has a u.PVC double glazed window to the rear, fully tiling to the wall and floor. A suite comprising of a shower enclosure, housing a chrome mixer shower within and a vanity wash hand basin, low flush toilet. Also a ladder style radiator. 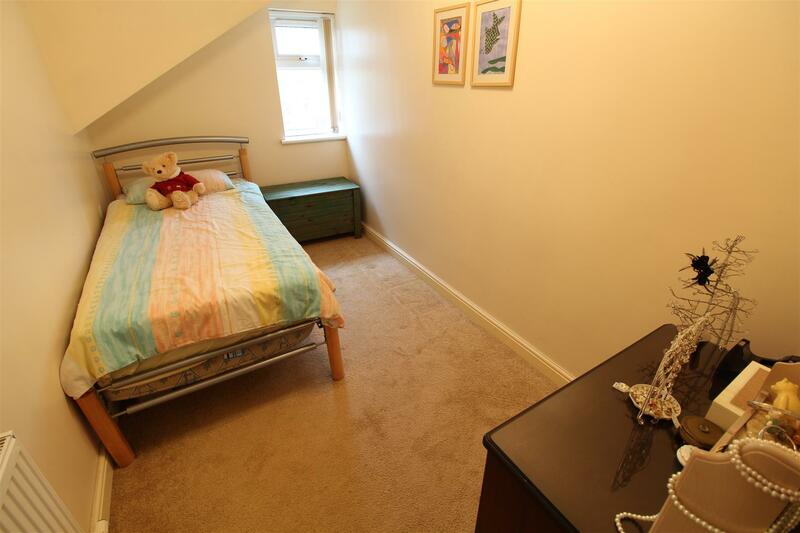 The landing has a velux roof light, decorated in cream with a central heating radiator. 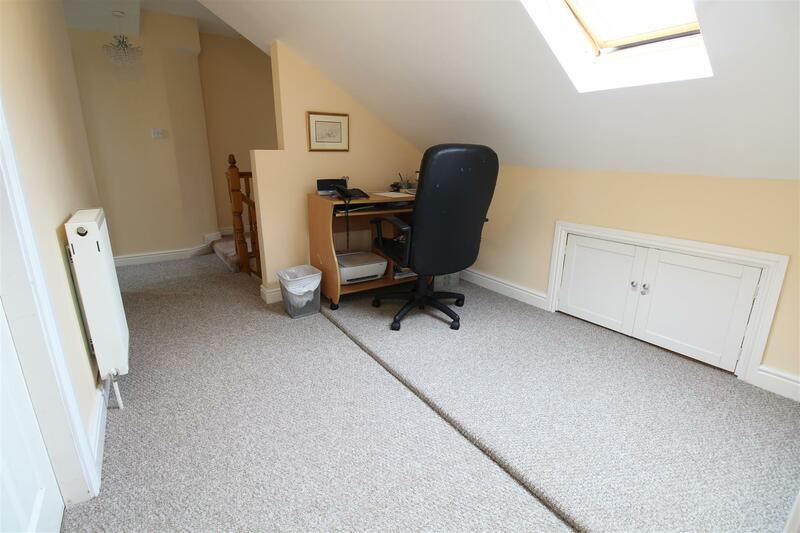 There is an area on the landing which is currently being used as an office/study which is ideal for anyone that works from home. 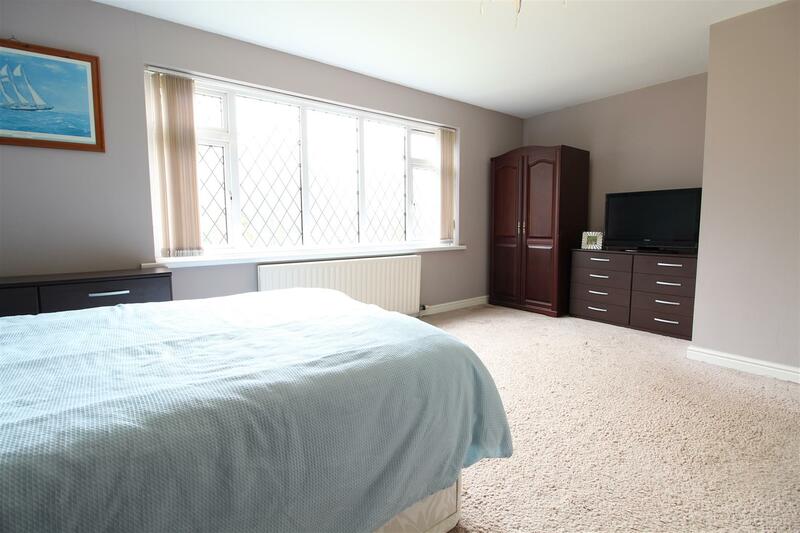 The large master bedroom has a u.PVC double glazed window to the front and a central heating radiator. 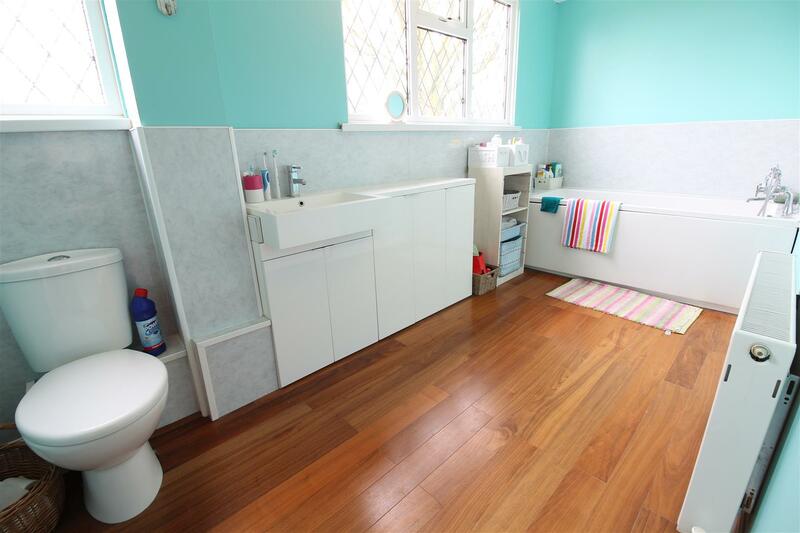 This generous sized ensuite has a u.PVC double glazed window to the side and vinyl to the floor. A suite comprising of a shower enclosure housing a chrome mixer shower within, low flush toilet and a vanity wash hand basin. Additionally a ladder style radiator. The second bedroom has a velux roof light to the front and u.PVC double glazed window to the rear with views of the fields beyond. 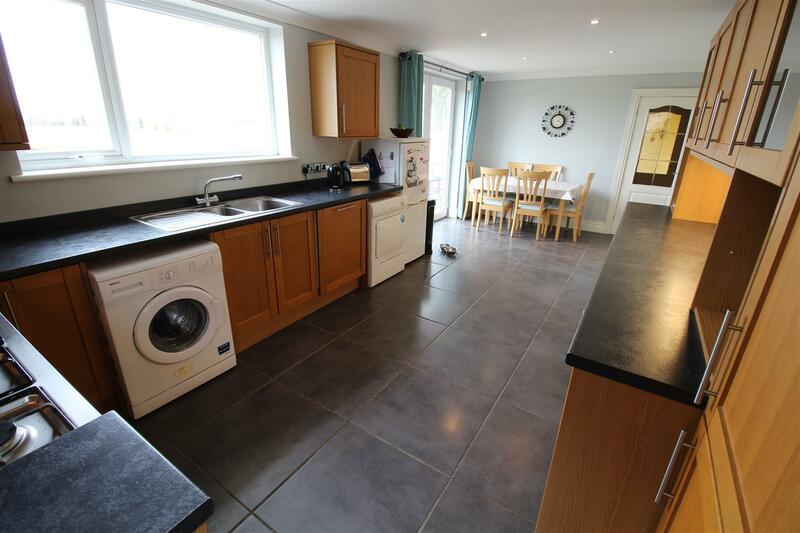 Decorated in a brick style paper to the wall a range of built in cupboards for storage and two central heating radiators. 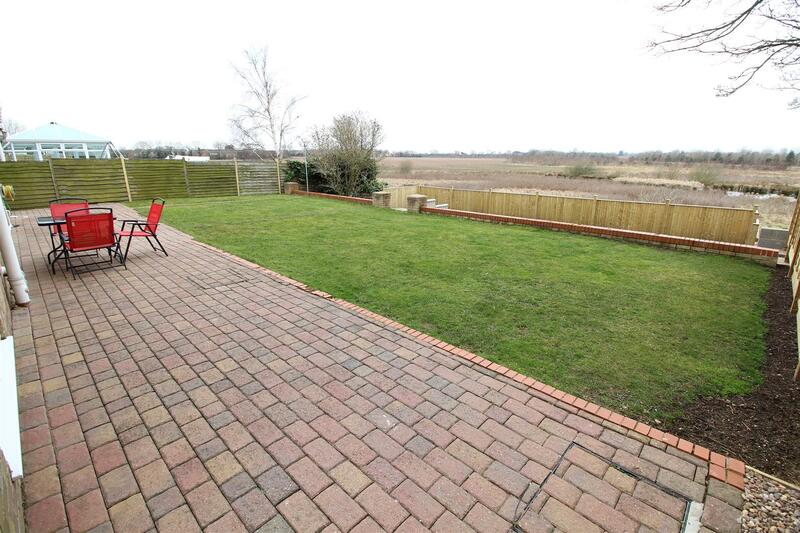 It has a u.PVC double glazed window to the rear with views of the fields beyond. 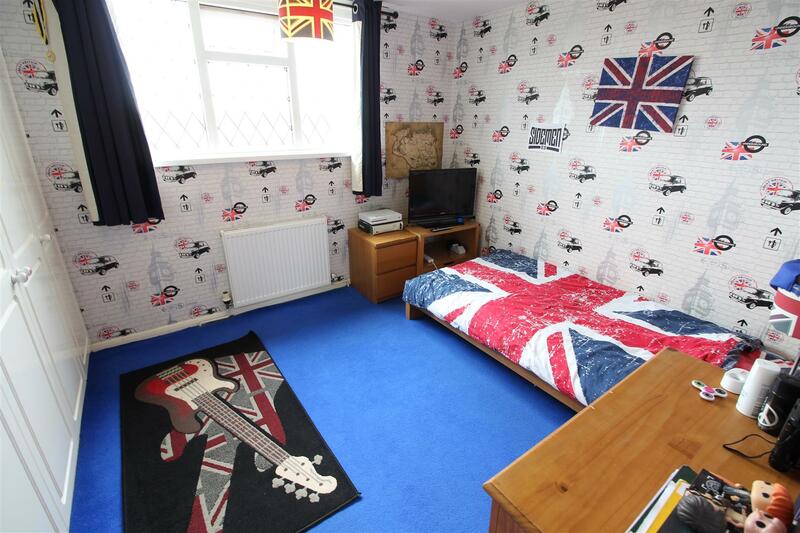 Again this room is of a double size with a London theme paper to the walls. 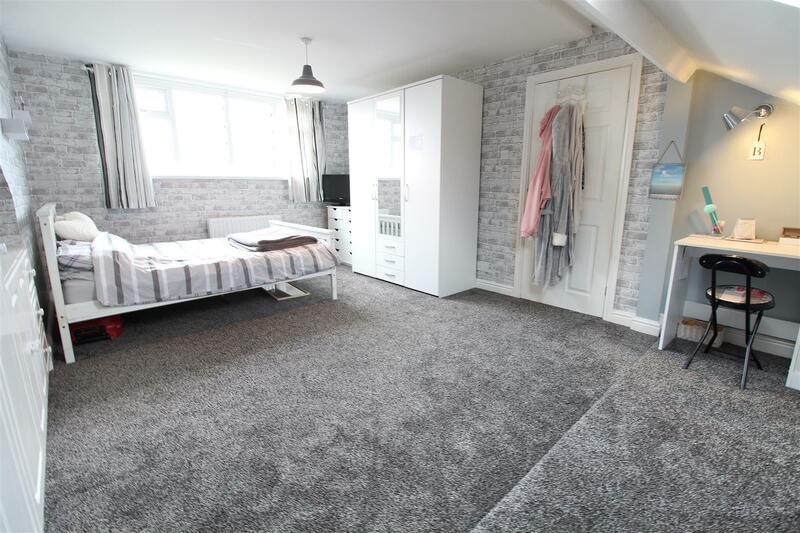 There is a central heating radiator, full bank of wardrobes to one wall. 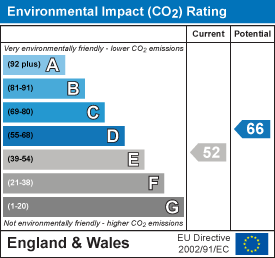 The fourth bedroom has a u.PVC double glazed window to the side. 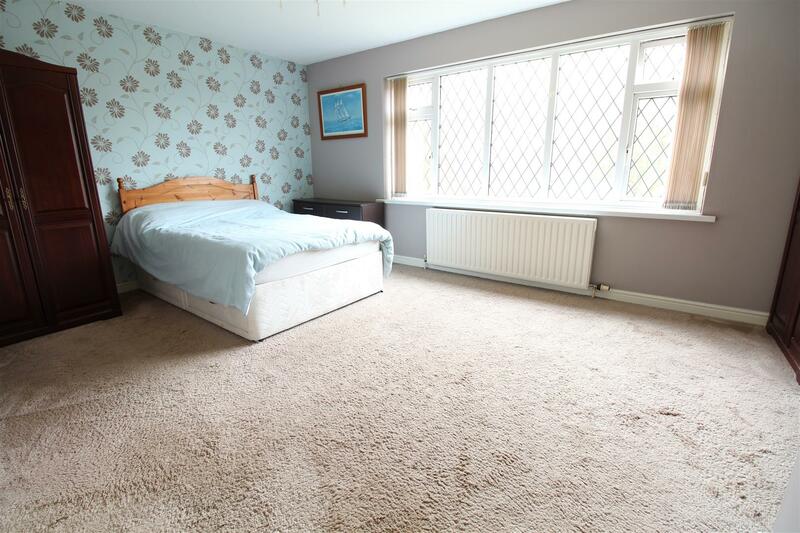 This is a single sized room decorated in cream with a central heating radiator. 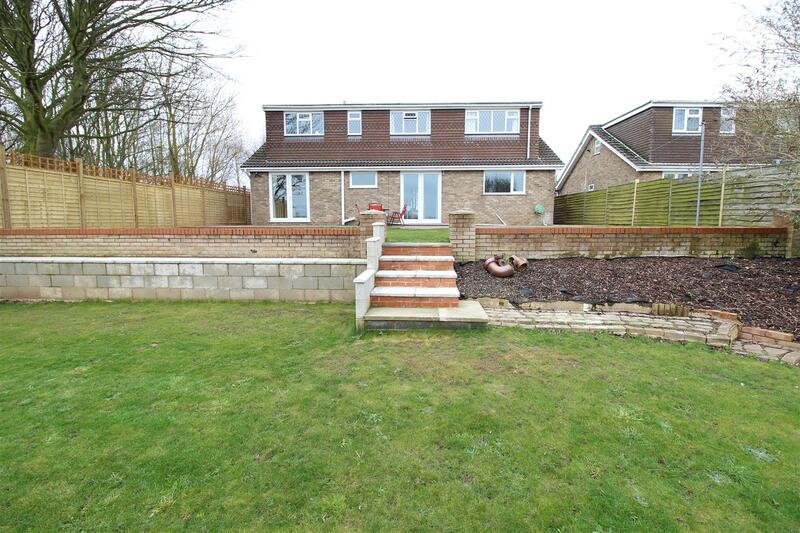 The superb sized family bathroom has two u.PVC double glazed window to the rear. Deocrated in an aqua colouring to the wall with engineered wood to the floor. 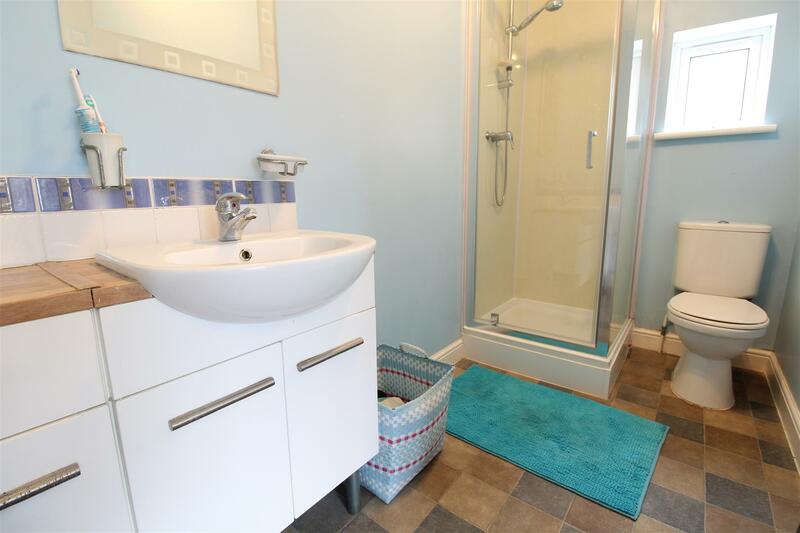 The suite comprises of a whirlpool bath with chrome Victoria style taps, low flush toilet and all in one vanity unit with white cupboards below. The garage has an up and over door and PVC window to the side, both lighting and power. 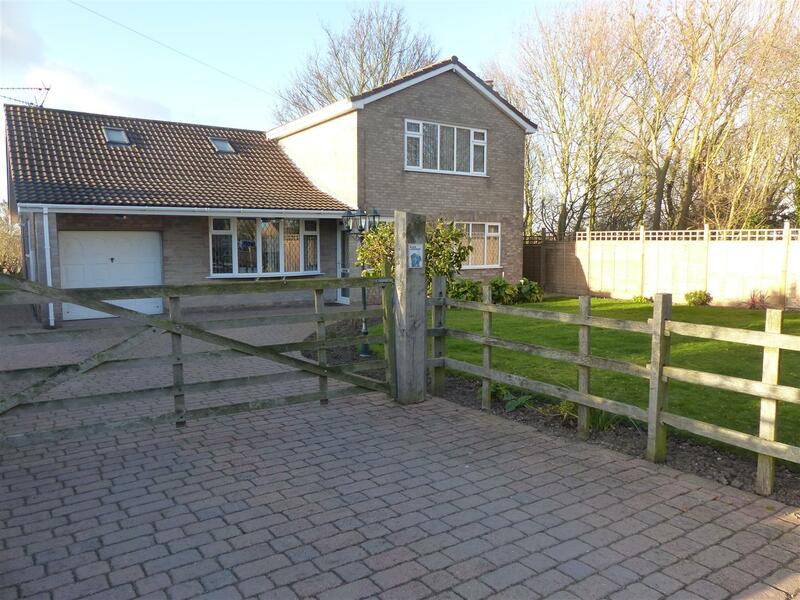 The front of the property has a fenced boundary, large farmers style gate, leading on to the block paved drive, for numerous vehicles up to the integral garage. The front garden is mainly laid to lawn. 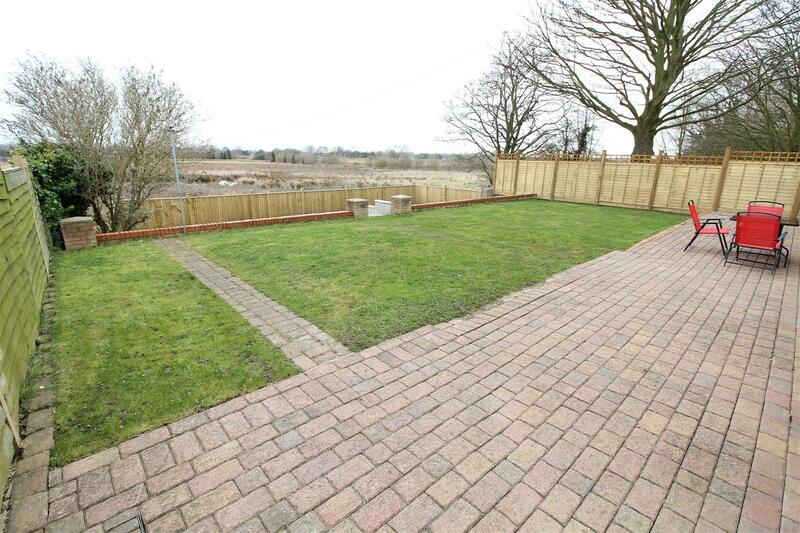 The rear garden has views over the fields beyond. The rear garden is fully enclosed within a fenced boundary, mainly laid to lawn, a few steps down to an additional garden which is also fenced and lawned. A slightly disused garden beyond that. Our local broker Emma Hyldon can help you find the best mortgage to suit you providing personal face to face expert advice either at our office or in the comfort of your own home. Contact our office for further details on 01472 698698 or speak to Emma Hyldon directly on 07522 622 159 or emma@personaltouch-mortgages.co.uk. 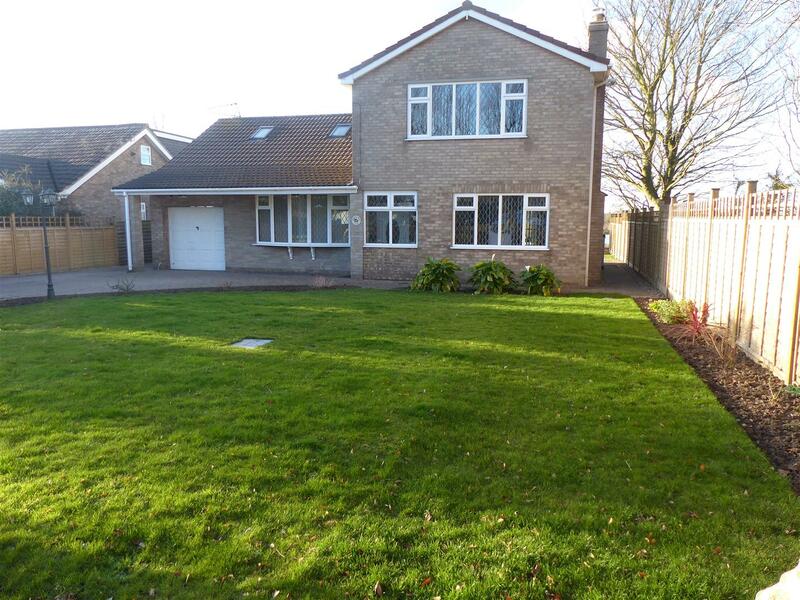 Bettles, Miles and Holland Estate Agents is an introducer to Personal Touch Mortgages (Lincs) Ltd, which is an appointed representative of Personal Touch Financial Services Limited, which is authorised and regulated by the Financial Conduct Authority. They normally charge a fee for mortgage advice. The amount will depend on your circumstances. 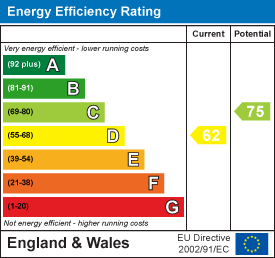 A typical fee would be £99 payable upon application and further £300 payable on production of offer.